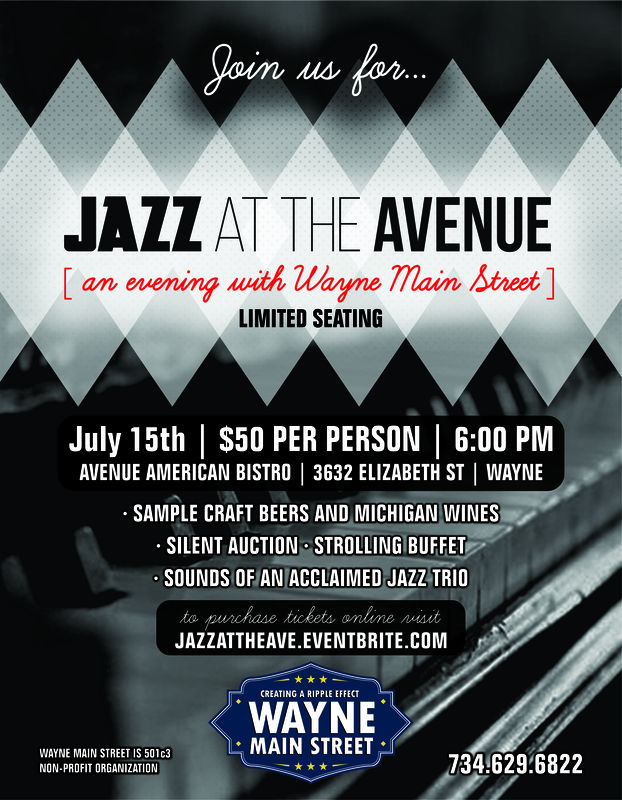 Jazz at the Avenue will be held on July 15, 2015 at 6 p.m. Tickets are $50 per person. This is our biggest fundraiser of the year. The event will be held at Avenue American Bistro on 3632 Elizabeth Street in Wayne, MI. Tickets can be purchased here. Five reasons why you should come out and have fun with us! 1) Music: An acclaimed jazz trio will be performing some lovely jazz music. Who doesn’t love to hear some great jazz music? 2) Food: There will be a buffet filled with tasty delights. The buffet is included with the ticket price! 3) Drinks: There will be craft beers and Michigan wines available to sample. 4) Auction: During the event, there will be a silent auction filled with amazing items to bid on! 5) Fun: Jazz at the Avenue is the place to have fun at on July 15.